Regardless of where you live, most homeowners use their pool three to four months out of the year. This is called high traffic season and usually falls mid-summer as the temperatures soar. As a great place for a variety of playful activities, recreational swimming is always enjoyable in your very own private oasis. 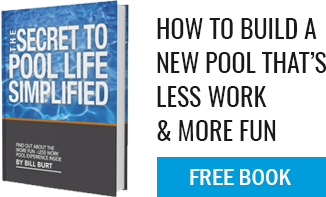 Today, financing options exist to make swimming pools affordable for the masses. One of the biggest benefits of a backyard pool (besides all of the fun) is it benefits your home property value whenever you go to resell your house on the market. Many swimming pool owners do their own pool maintenance but we recommend outsourcing this task to a professional team like Aqua Pool. This allows pool owners to sit back, relax and enjoy their investment without worrying about the hassle leaving more time to swim! Everyone wants to stay healthy and in shape and with your very own pool, you have the perfect resource to do just that. Swimming provides an excellent form on non-impact exercise that is easy on your joints and relaxing for the mind. Having a backyard destination like a pool can foster social connection among family, neighbors, and friends. Whether splashing together on a weekday afternoon or hosting an evening dining poolside, there’s no better excuse than to come together than a great evening outdoors having good conversations. This list of benefits is far from comprehensive. At Aqua Pool, our team is here to help answer any questions about pool ownership. Let us help you and your loved ones reap the rewards of pool ownership!